Why didn’t I give up the lease immediately when I moved to Diyarbakir (‘Amed’ in Kurdish)? First of all because that felt like too big a step: I love the small two bedroom place and wasn’t at all ready to give it up yet. I didn’t have to, I felt, because I found tenants easily and that covered the rent. Secondly, when I moved to Diyarbakir I had no idea how long I would stay. Three months I thought initially, just to be closer to the subject of my book (Roboski massacre). A friend offered me to move in with her in her Diyarbakir place, so we could share the rent and I didn’t have to buy all kinds of furniture immediately. I went to Istanbul regularly. When there were no tenants, I could stay in my own house, and if there were, I moved into a cheap hotel for a few nights. I chose the same hotel every time, with friendly personnel recognizing me when I called to make a reservation and giving me my favourite spacious room with a view over the Golden Horn every time I checked in. Three months became half a year in Diyarbakir, and still I felt no need to leave the city and return to Istanbul. It reminded me of my situation at the end of 2007, when I was in Turkey for one year. When I left the Netherlands, in December 2006, I initially went for one year. 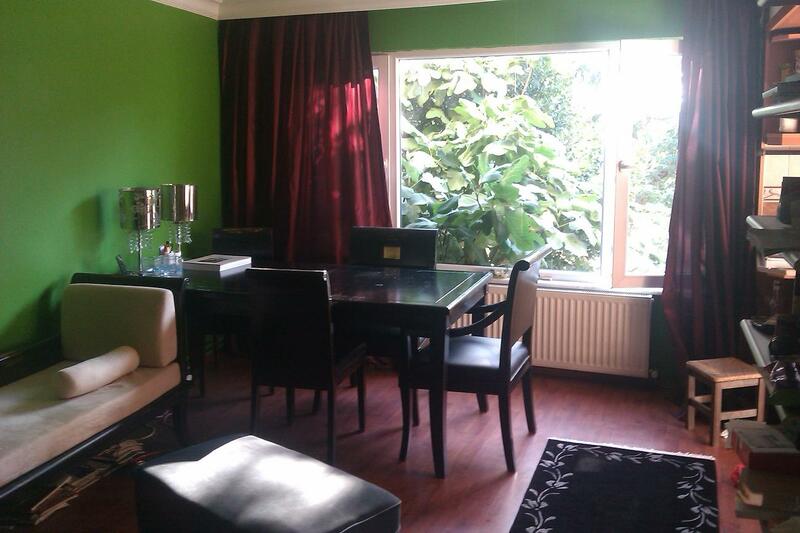 I didn’t give up my house in Utrecht, I found a tenant so I could move back in after a year. But during that year my freelance business as a journalist took off pretty well and it seemed ridiculous to leave it behind just because the initial plan was to stay one year. What would I go back to? To the journalism I was doing in the Netherlands (mainly about health and medicine, with the occasional journalism trip abroad) and that I loved but that I also left behind for a reason, namely to pursue the dream of becoming a foreign correspondent? No way! I loved living in Turkey, I was building a life and my family and friends in the Netherlands were only a three hours flight away. I am in the same situation now. I have specialized more in the Kurdish issue, and after finishing and publishing my book in Dutch (and now trying to arrange an English and Turkish version) I have started to try to publish more in English, besides my Dutch work. I am the only foreign journalist in Diyarbakir, the only foreigner in Turkey really writing from a Kurdish perspective, which distinguishes me from the dozens and dozens of journalists in Istanbul who only come flying into the southeast for specific stories. I could go back to Istanbul now, but what would I do? In Istanbul I cannot distinguish myself from other English language writers like I can here, so I would go back to what I did there the first years of my life in Turkey. I loved it, but over the last one and a half years my life has progressed, and returning to Istanbul just doesn’t seem to be a logical option now. Still, I was reluctant to just give up my sweet little Üsküdar place. But slowly I came to realize that my good feelings about that place are not necessarily connected to the some sixty square meters. Partly they are, but it is also the life I built there that was good. And how I made the place mine: painting the walls, buying some good furniture, putting my stamp on it, so to speak. I can easily build the same in Diyarbakir. I have done that in large part already: a social life, a business that is going well, being in a region where way more than enough happens to make a journalist happy, in a big city that can be considered among the most liberal and free in Kurdistan. What more do I want? The rest of my life! A few of the best pieces of furniture that are now in Üsküdar and that tenants have used, to be put in a house that is lighter with a wider view than I have now in Diyarbakir. I was pondering, but somehow I didn’t take the step. And I know you don’t have to force decisions. You can just wait and see what happens. Then the mail from the potential new tenants came: they cancelled. Two days later – yesterday – I called the house owner in Üsküdar: I will move out at the end of May. It feels good to bring my life together in one place. And they say Istanbul isn’t going anywhere after I leave it behind: I can always go back to stay in my favourite hotel room for short periods of time. And I always will return to this crazy city that I have come to love. Bye-bye Istanbul, bye-bye beloved Üsküdar, and hello Amed! Previous Previous post: What to write to a friend in prison?